Implemented by JSI Research & Training Institute, Inc., the HRSA-funded Resilient and Responsive Health Organizations (RRHO) project builds the capacity of diverse institutions that include schools of medicine, midwifery and nursing, professional associations, and government ministries that contribute to improving the quality of health professional education in the Democratic Republic of Congo (DRC), Liberia, and Sierra Leone. With a focus on leadership and governance, program and grants management, financial and administrative management, and evaluation and monitoring, JSI helps build the organizational capacity of these “impact partners.” JSI is also committed to strengthening their capacity to create a transnational learning collaborative that supports knowledge exchange to effectively respond to health sector challenges. As part of this effort, JSI works with the partners to develop capacity development plans that help to sustain their work well into the future, forge foundational relationships within their countries and across the continent, build a sustainable community of practice, and create an environment for continuous learning, sharing, and peer-to-peer exchange. 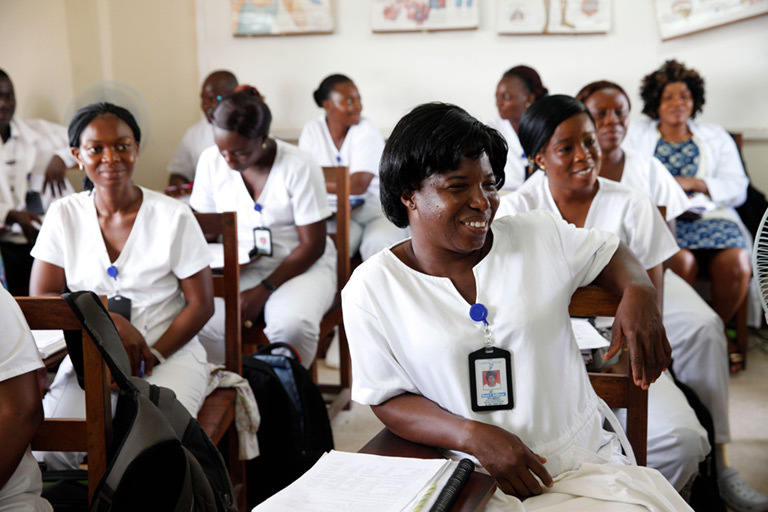 Throughout the five-year project period RRHO is supporting and complementing HRSA’s Resilient and Responsive Health Systems (RRHS) initiative implemented by Brigham and Women’s Hospital in Liberia, and ICAP at Columbia University in Sierra Leone and the DRC. In so doing, both projects jointly strengthen the ability of the impact partners to become self-learning organizations that are also interdependent and can promote and capacitate south-south engagement with the goal of contributing to PEPFAR’s human resources for health strategy.